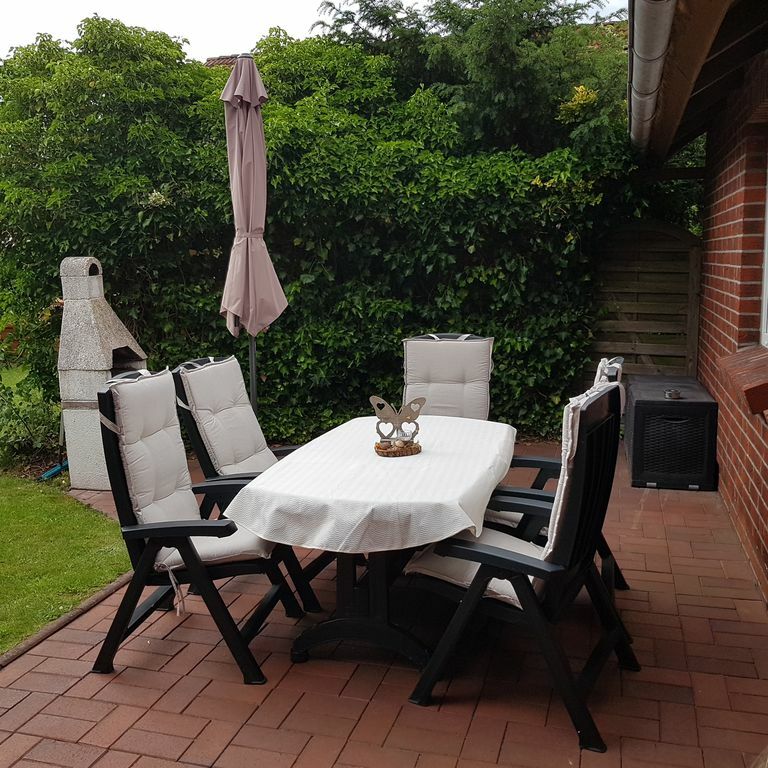 In our apartment in the resort of Upgant-Schott / Marienhafe you will find on about 60 square meters Ostfriesische hospitality, combined with comfort in an attractive interior. The comfortably furnished apartment is located in a quiet residential area and offers, both older guests and young families, the best recreational opportunities on the East Frisian North Sea. On the terrace in your own separate garden is a fireplace grill available to enjoy pleasant evenings. For your entertainment, we offer satellite TV, compact hi-fi system, DVD player and Wi-Fi. Bed linen and towels / bath towels and tea towels are provided at no extra cost. The beds are made upon arrival. There is a private parking space on the private property. Our apartment is conveniently located to explore tourist highlights such as Greetsiel (fishing village), Norddeich (beach), Emden (port city) and Aurich (shopping city). Ostfriesland has a very well-developed cycle track network to enjoy the unique East Frisian landscape by bike. The daylight bathroom is on the first floor and also has a washing machine for small, quick laundry in between. Contact person on site Children are welcome !!! Our apartment is conveniently located for tourist highlights such as Greetsiel (fishing village), Norddeich (beach), Emden (port city) and Aurich (shopping city) to explore.